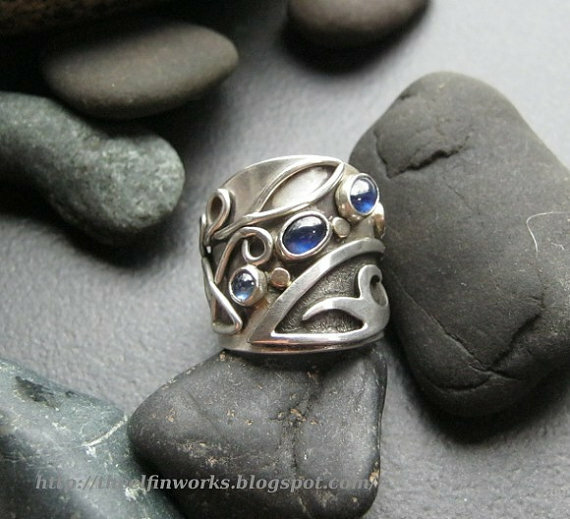 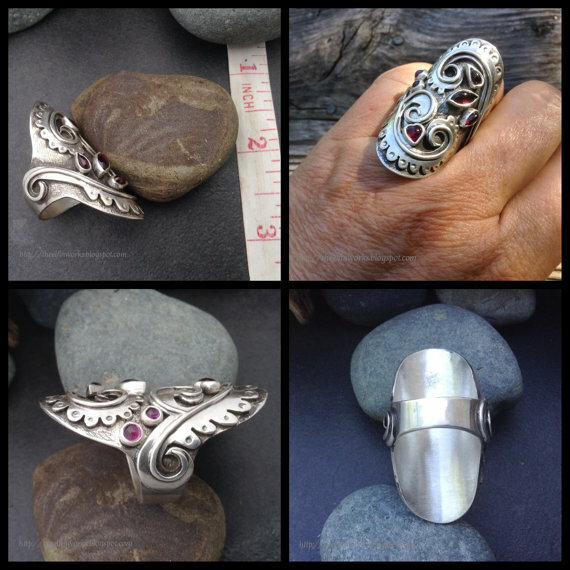 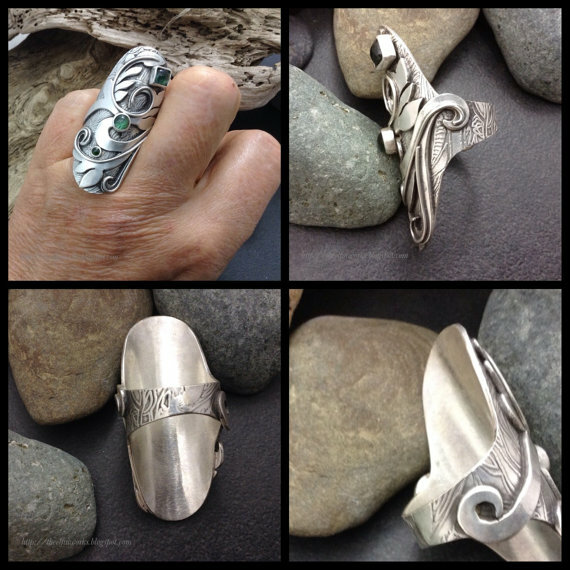 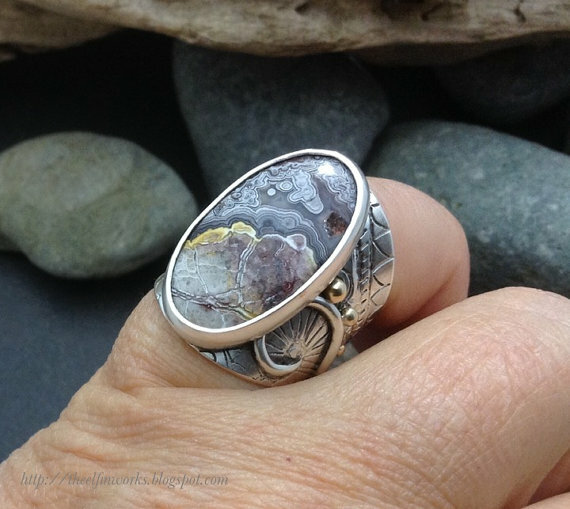 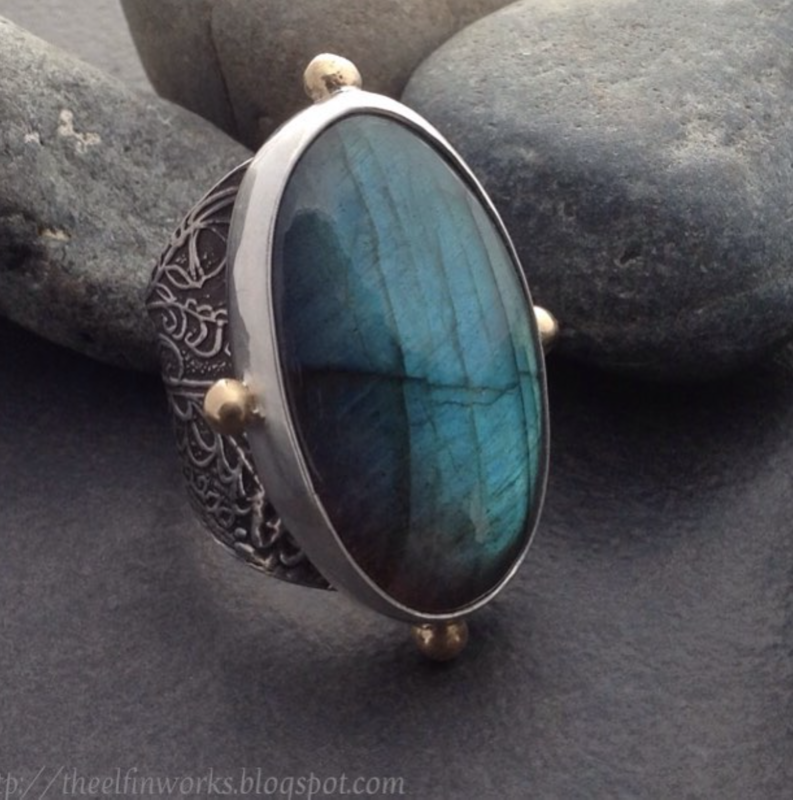 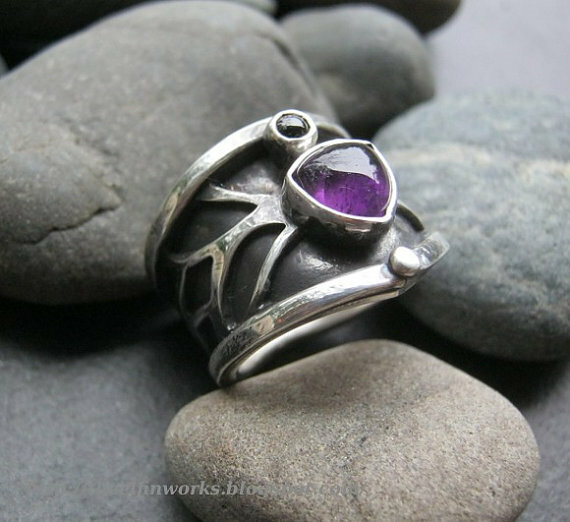 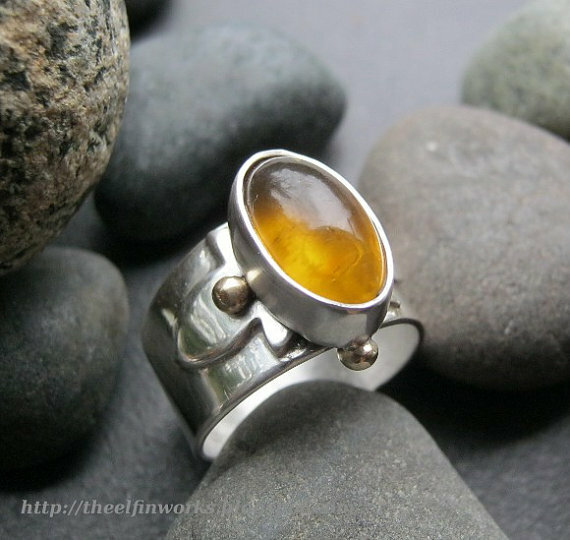 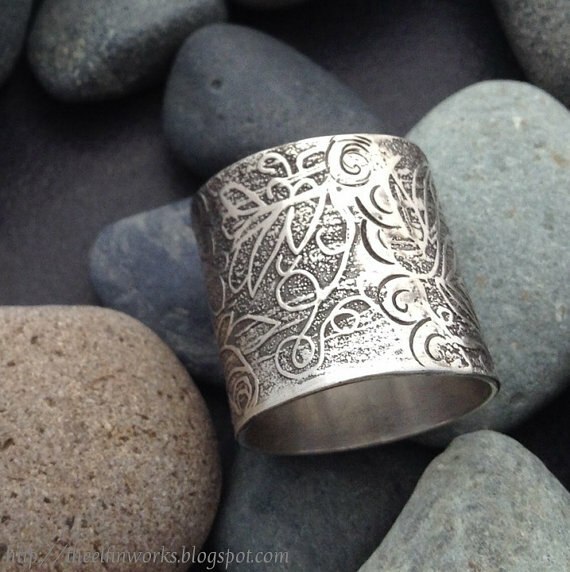 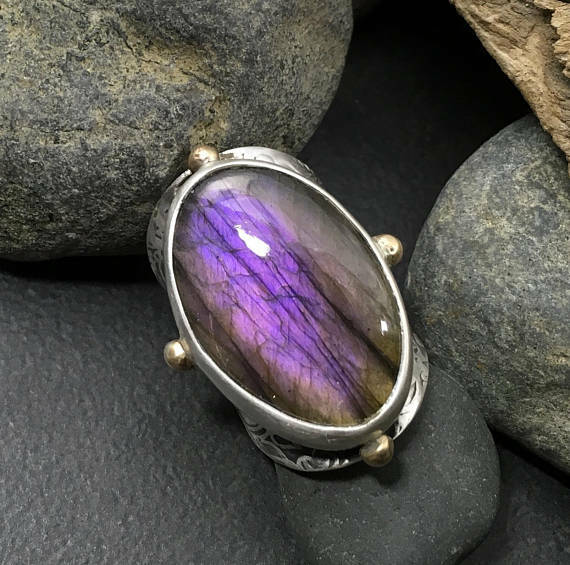 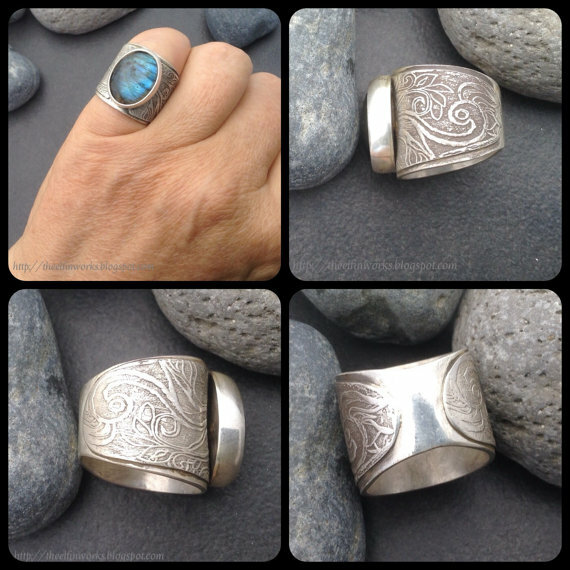 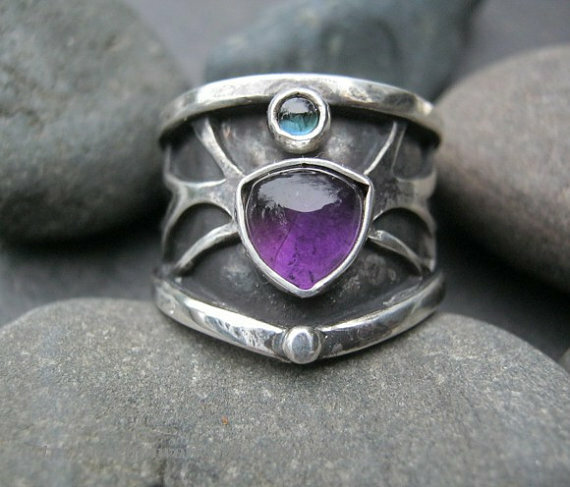 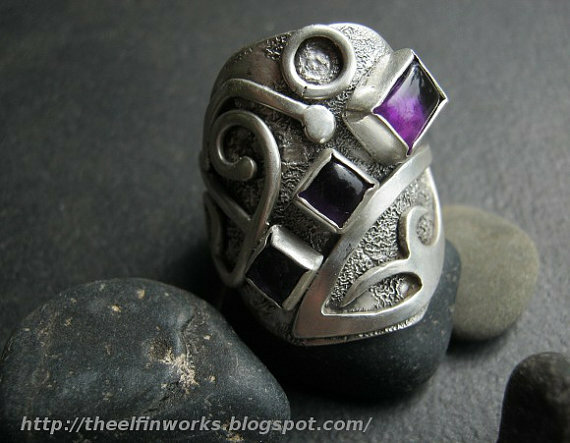 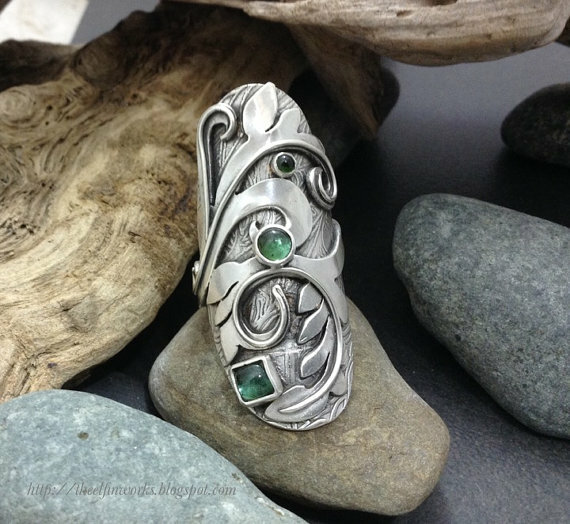 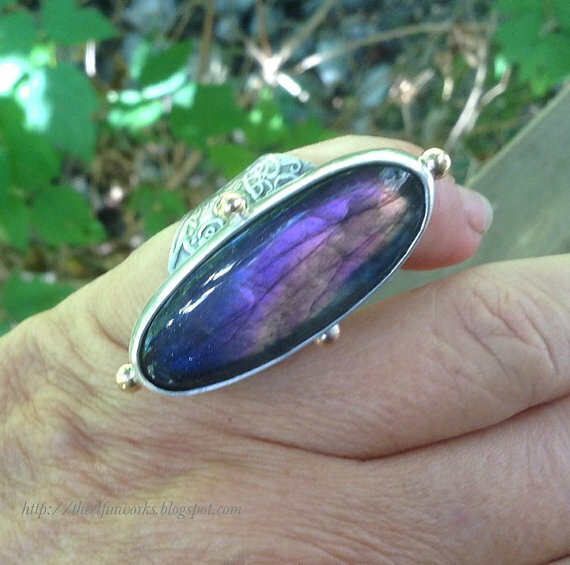 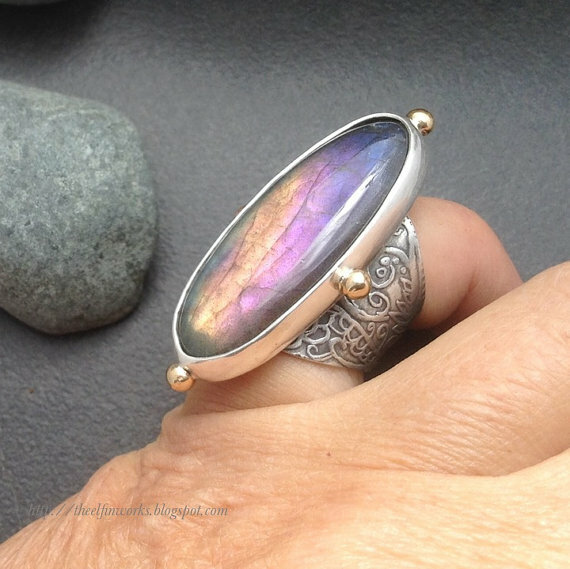 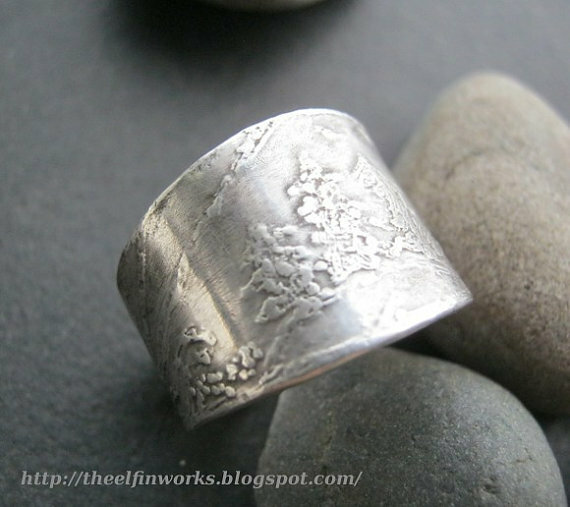 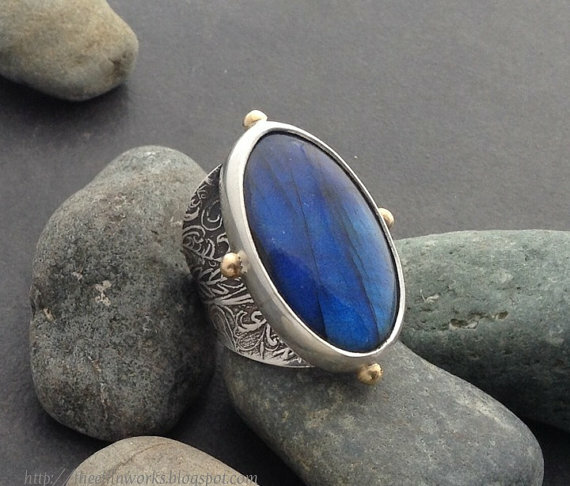 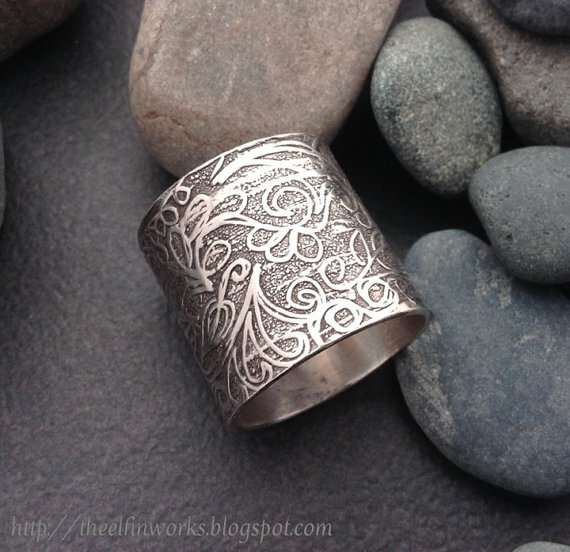 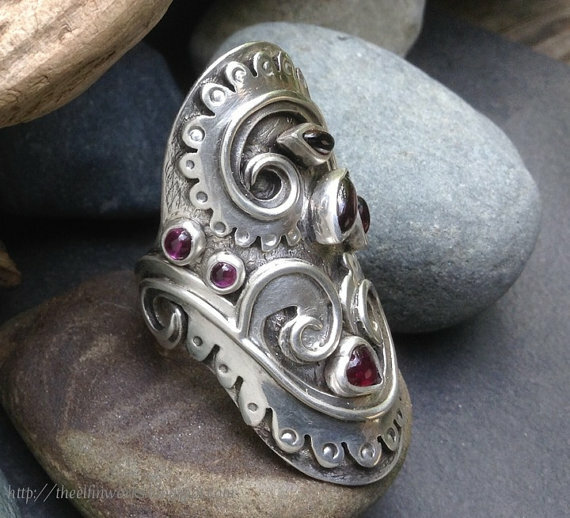 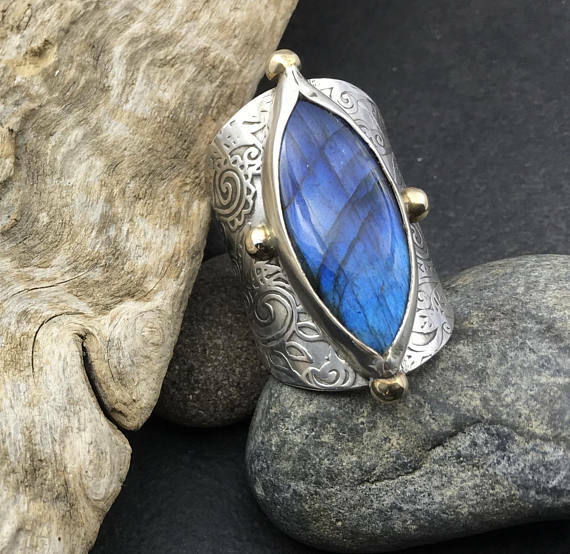 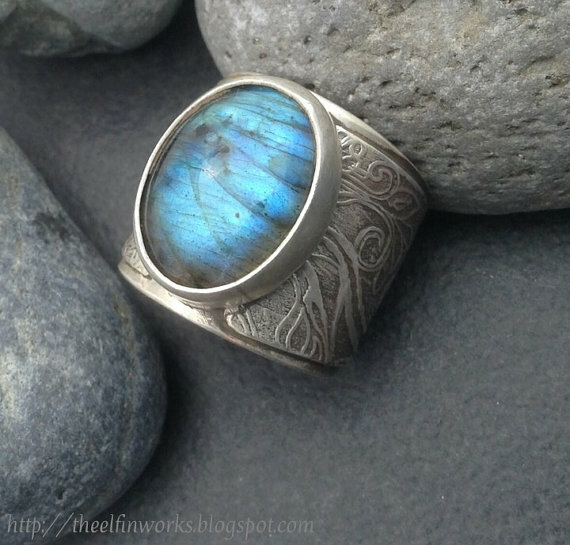 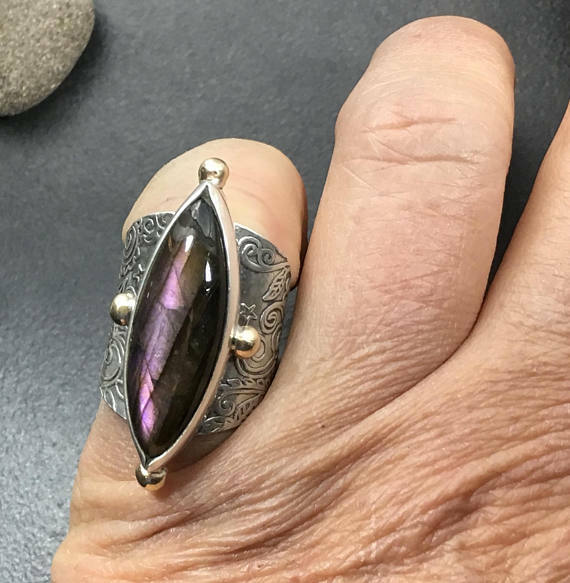 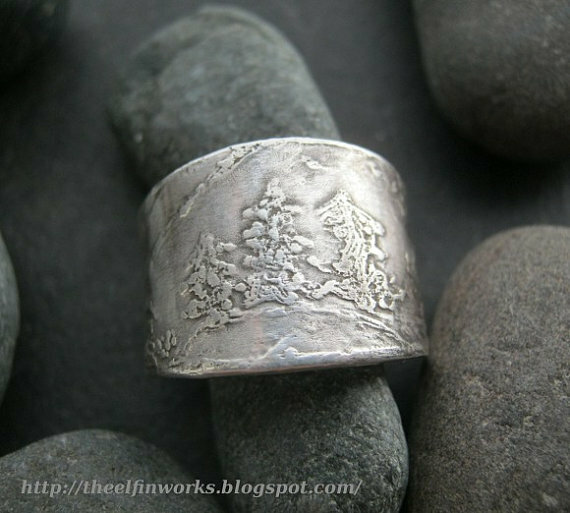 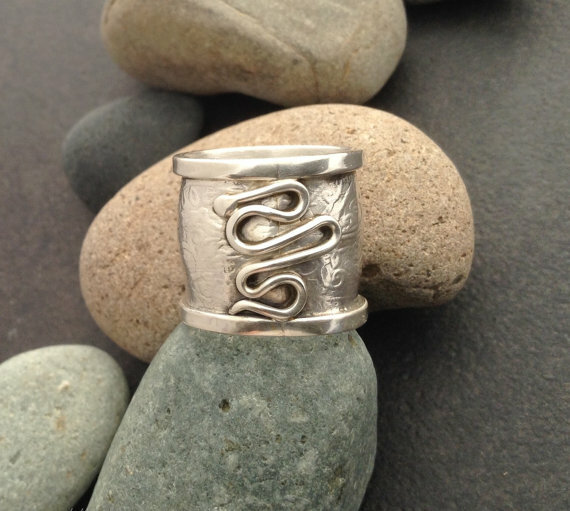 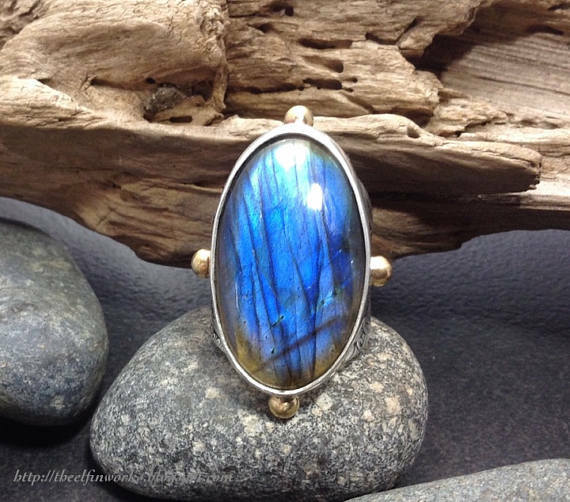 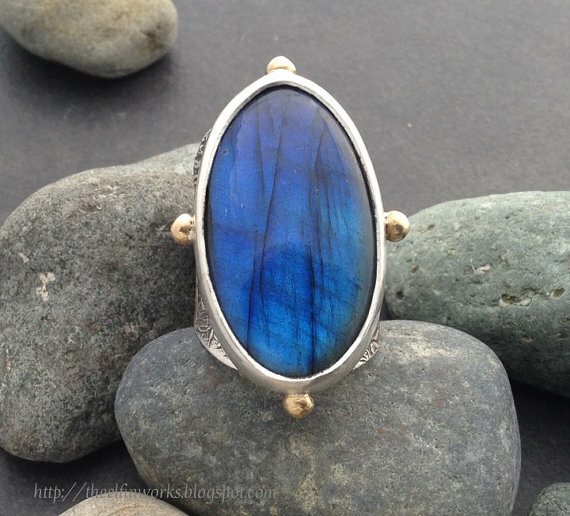 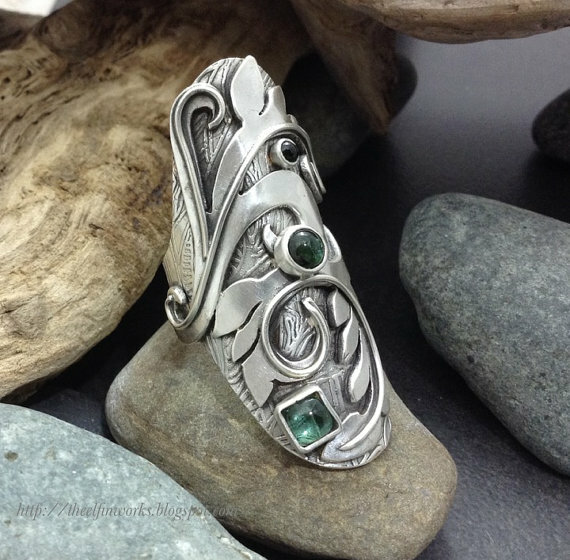 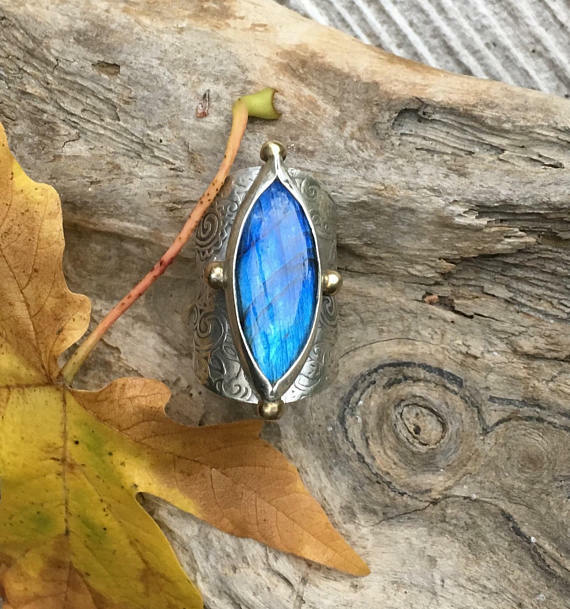 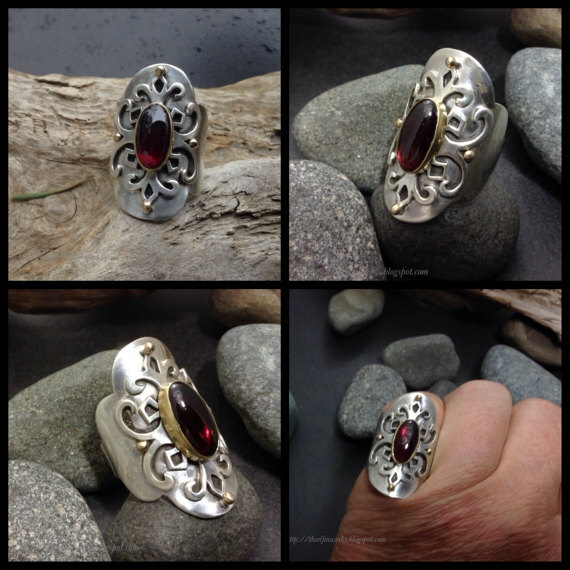 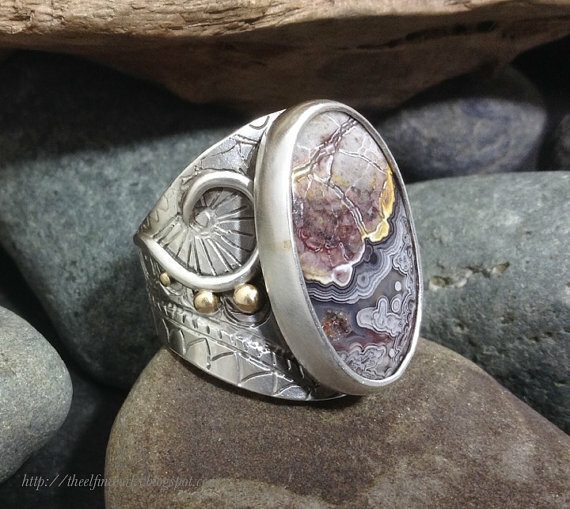 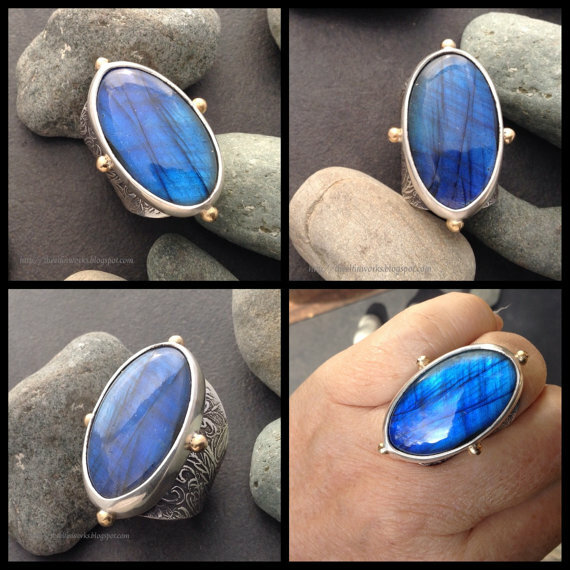 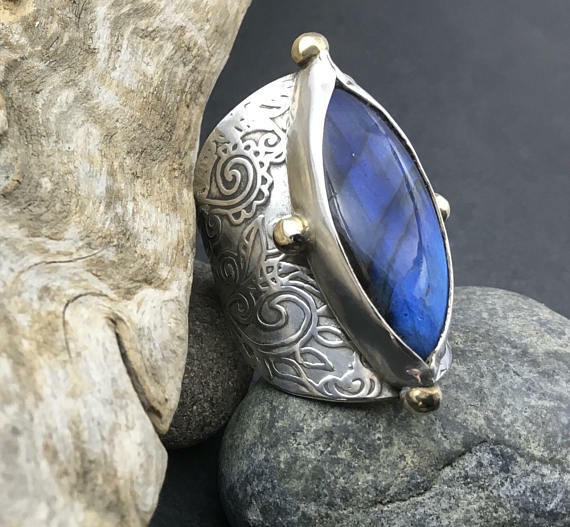 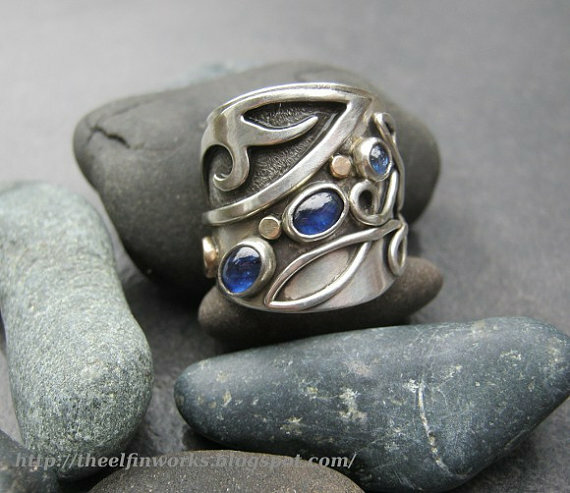 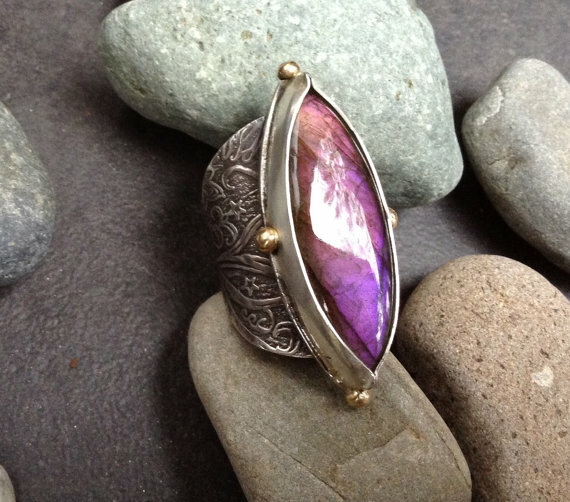 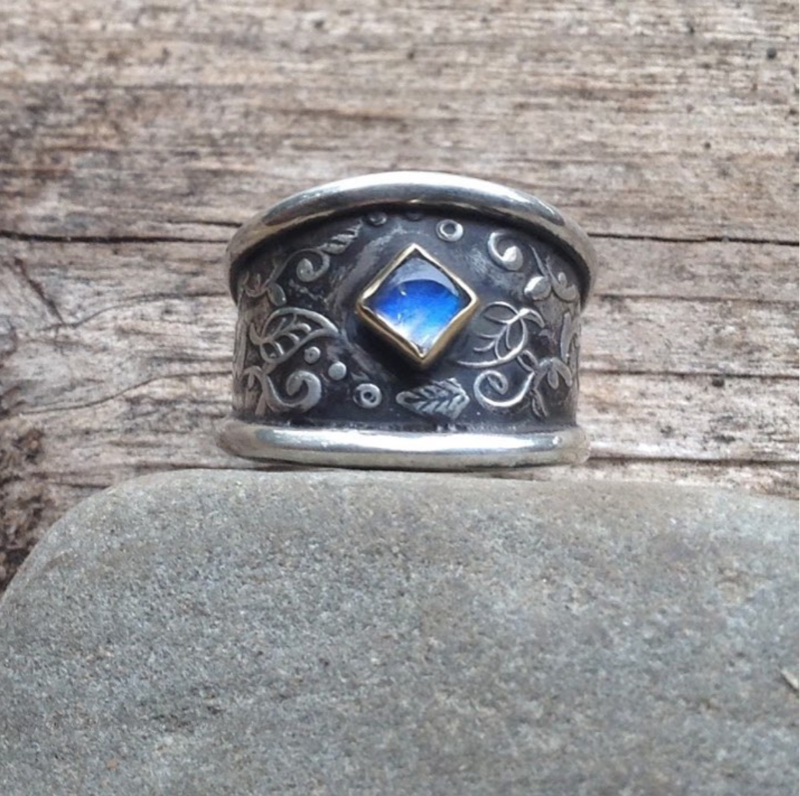 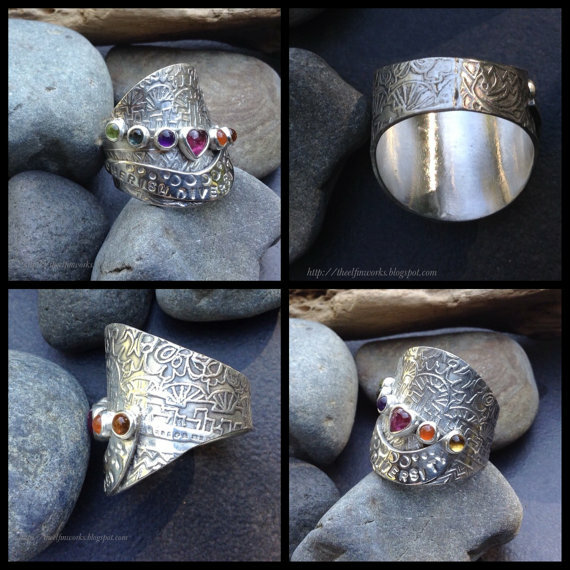 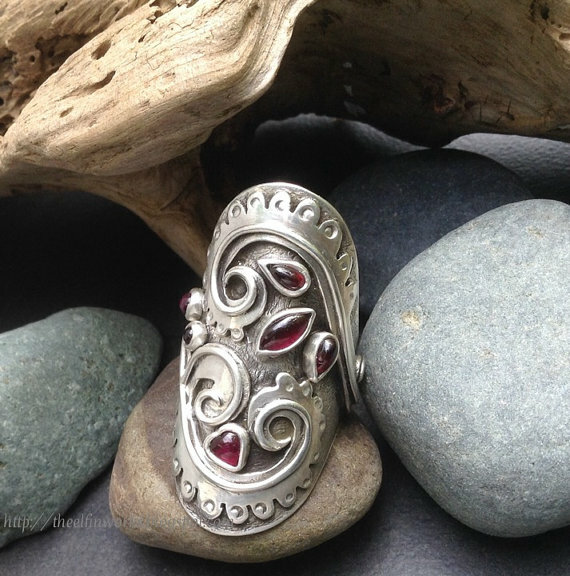 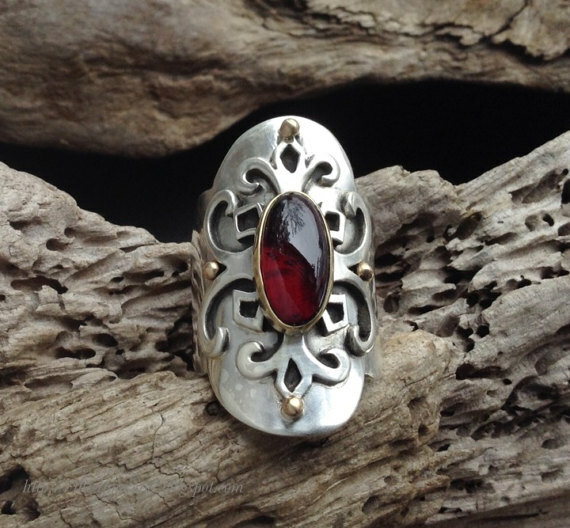 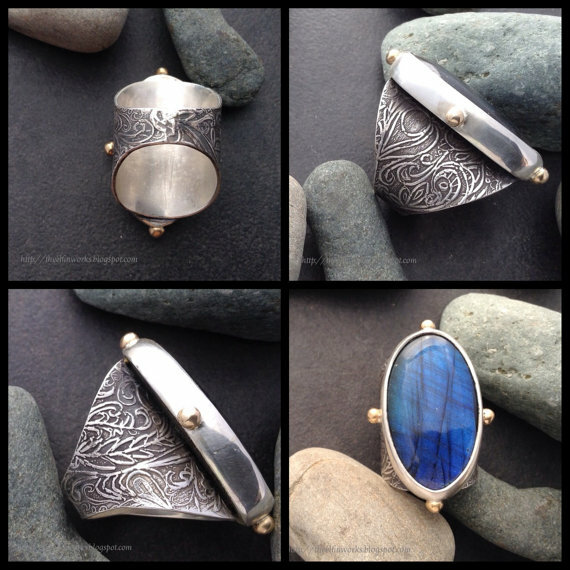 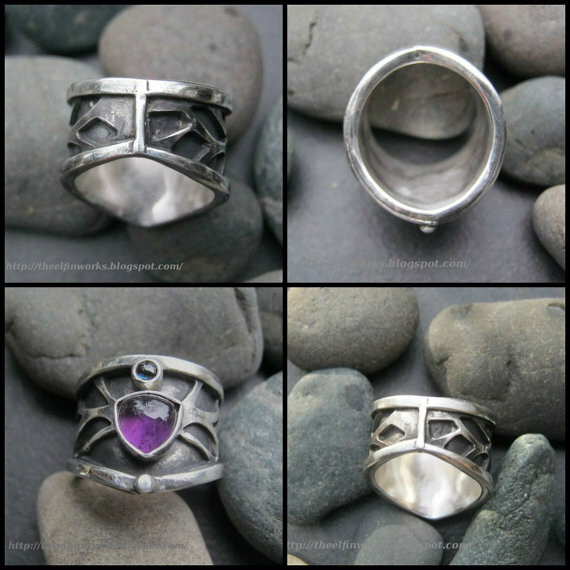 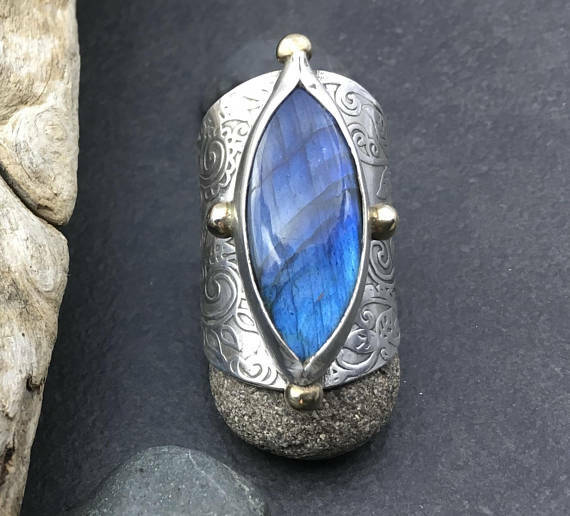 I am a huge fan of the jewellery art (because it really is art) of Dreia Nickerson of ElfinWorks on Etsy. 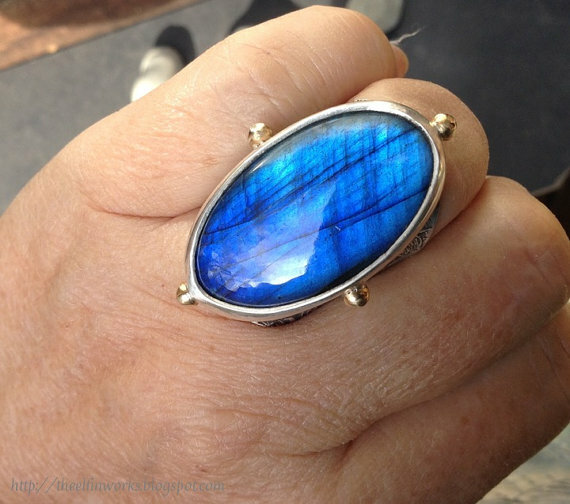 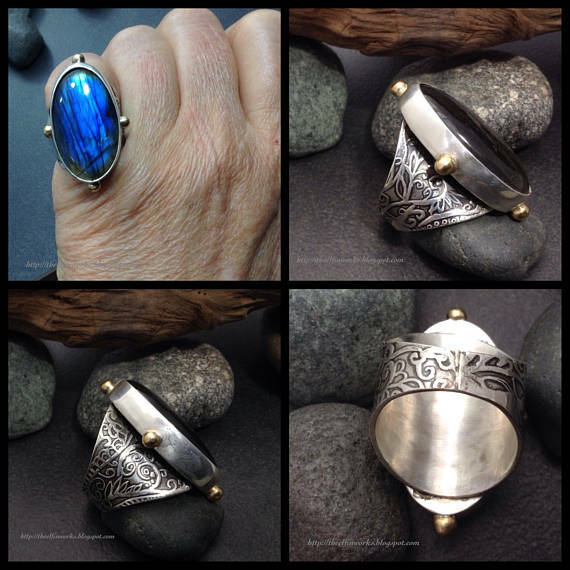 Each item is one of a kind and her statement rings are epic. 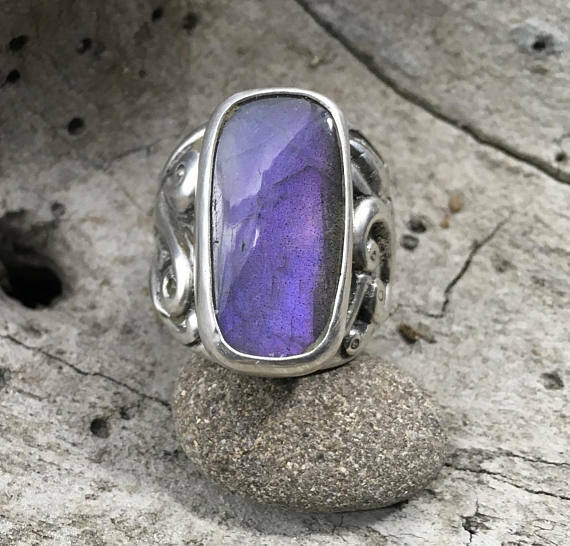 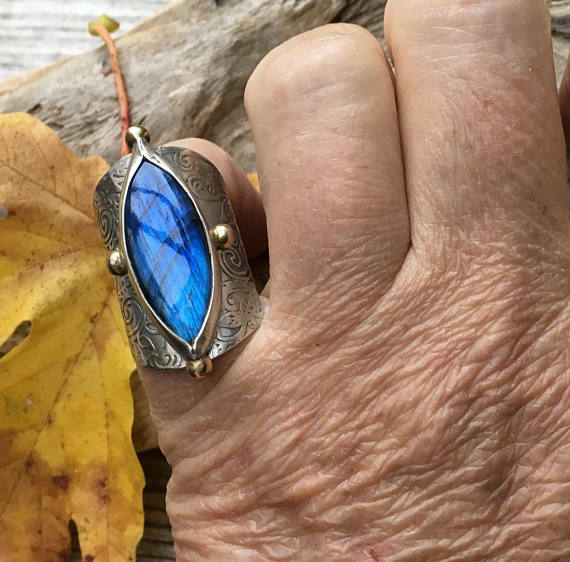 Regular readers will know that I am a fan of statement rings, but Dreia also does bracelets, necklaces, earrings – both statement and more discreet, all with a very organic vibe, inspired by nature. 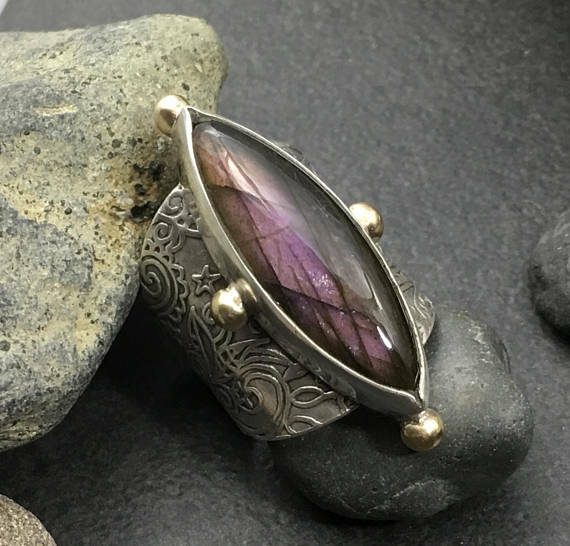 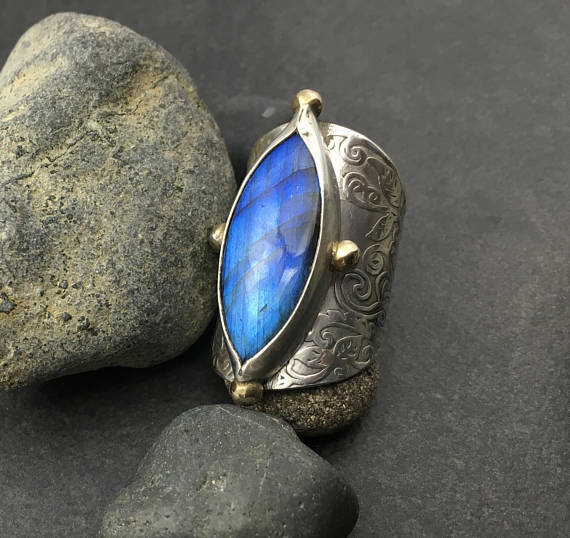 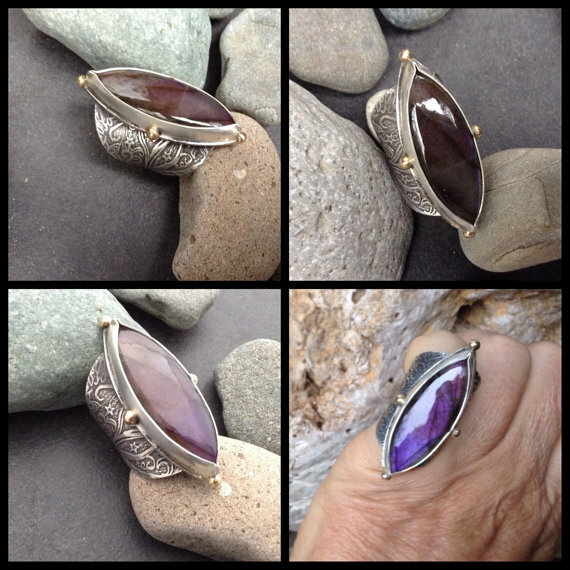 She works with copper, brass, silver and sometimes gold, but the stars of the show are the beautiful stones she showcases in her work. 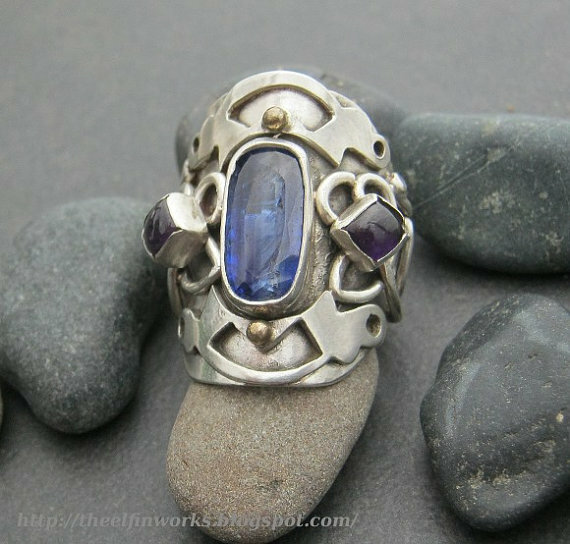 I don’t have any pieces from ElfinWorks because I have never been fast enough to nab one I love in my size. 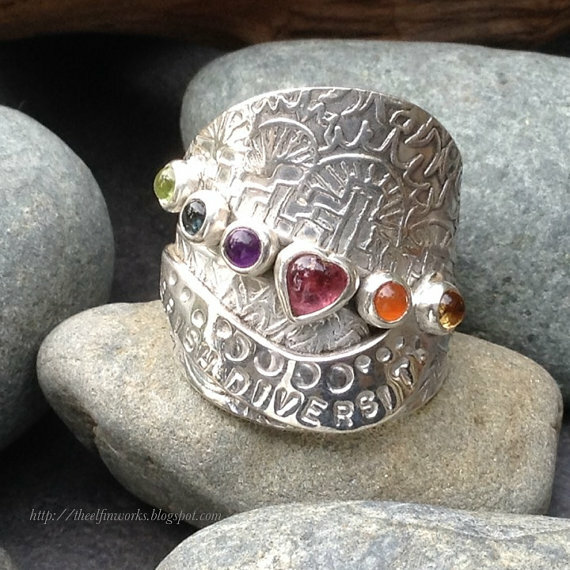 But I will one day! 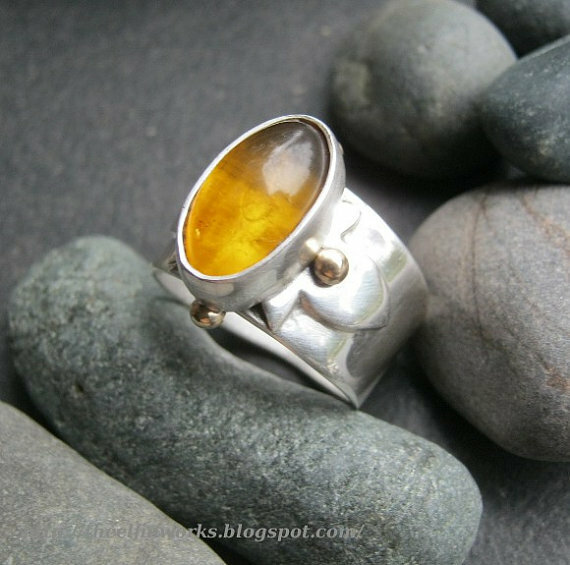 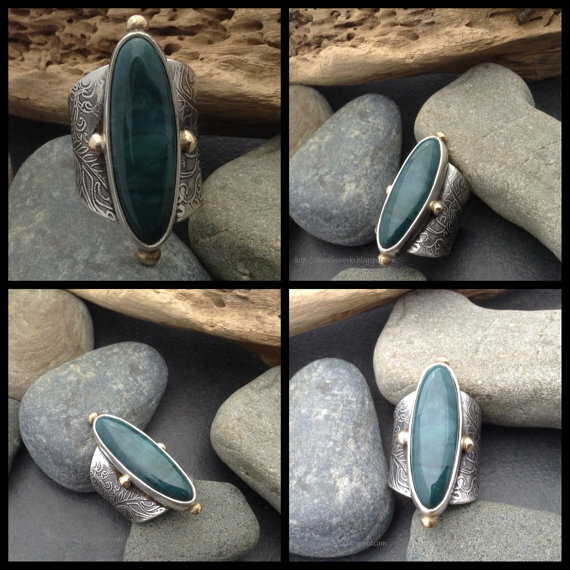 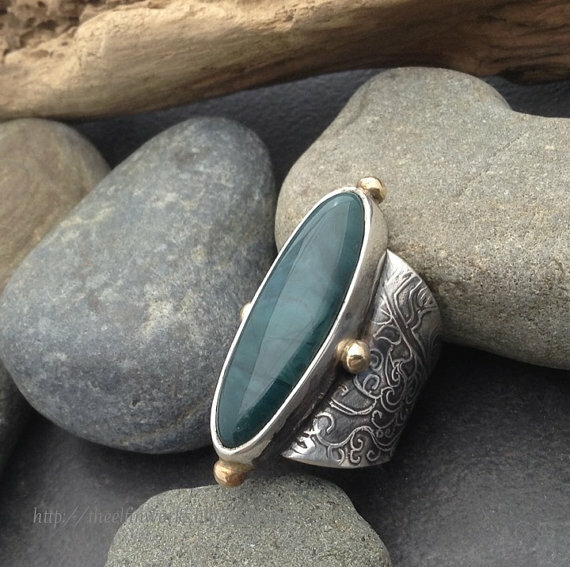 My two favourite pieces from this shop are the green jasper below, and also the multicoloured stone Diversity ring in sterling silver which is shown in the gallery below. 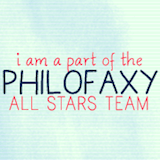 All photos belong to Dreia. 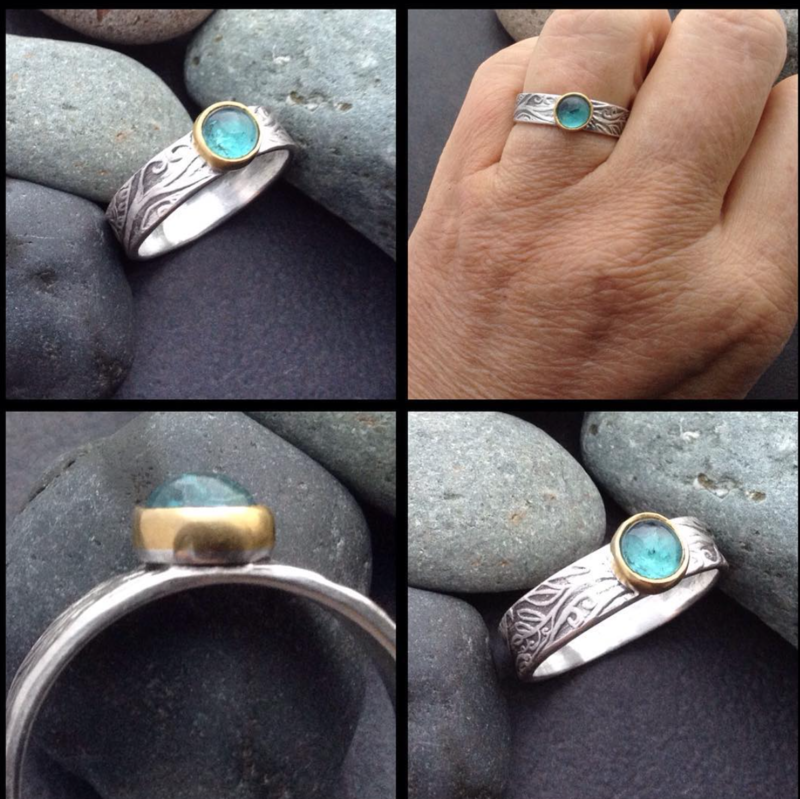 Find her Etsy Shop, Instagram, Facebook, and blog here.